Green Impact helps universities, land conservation organizations, NGOs, companies, and medical centers increase the impact of sustainability and land conservation projects. 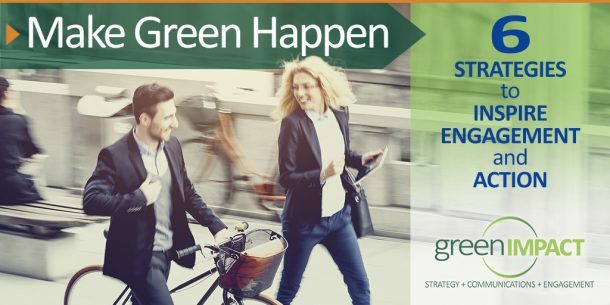 We are a Bay Area-based, woman-owned strategic sustainability communications consultancy with over 25 years of success helping clients with a commitment to sustainability launch new green initiatives, promote climate solutions, scale best practices, write winning grants, and craft compelling success stories. Founder and President Deborah Fleischer, and her senior team of communications and engagement pros, offer a rare combination: expertise in sustainability and land conservation; experience with communications, cross-sector partnerships, and employee engagement; the ability to bring successes to life; and creative branding and design chops. Deborah has a Master in Environmental Studies from Yale and a Master in Public Administration from Harvard. You might be an ideal client if you have a new sustainability program to launch, best practices to promote and scale, a report, whitepaper, or grant to write, or need consistent, original content for a Website or newsletter. Please give us a call if you seek the personal touch and stellar service a boutique firm can provide. See our Featured Work HERE. Deborah is a communications pro, a skilled program manager and strategist, and engagement expert. She is passionate about protecting ecosystems, bringing sustainability alive to employees, and telling an engaging story. Her areas of expertise include climate change, sustainability, employee engagement, cross-sector partnerships, and land conservation. Deborah has a Master in Environmental Studies from Yale and a Master in Public Administration from Harvard. She has lived and worked in Marin for over 20 years and has worked with a range of companies, universities, land trusts, foundations, and NGOs, including the Marin Community Foundation, Ventura County, MomentUS, Mattel, Trust for Public Lands, University of San Francisco, and UC San Francisco. You can see Deborah’s resume HERE. Duke brings superb design and branding skills to the Green Impact team. He is fluent in story, color, composition and typography–a fancy way of saying he is a designer who can bring your campaigns and successes alive with eye-catching collateral, interactive Websites and fresh brand identity. He designed the Pacifica Land Trust’s new Website for the Pedro Point Headlands as well as created an engaging look and feel for the University of San Francisco’s Office of Sustainability (banner, brochure, video). Depending on the project, Green Impact has existing relationships with several Bay Area video production agencies that have values and experience aligned with sustainability. We partnered with Digit Video to shoot and produce UCSF’s Code Green and Northcutt Productions to produce University of San Francisco’s two videos. 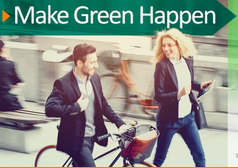 Are you ready to make a greener impact?